In preparation for our Thanksgiving mini-feast we discuss table setting. 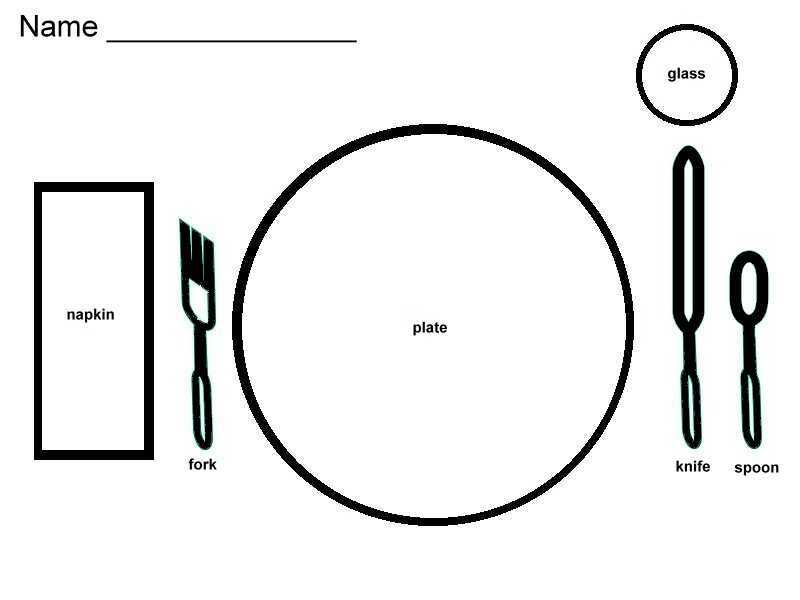 Children are given a placemat showing location of plate, glass, silverware, and napkin. The children use the placemat at our kitchen to practice table setting. You can easily make such a placemat by taking a large piece of paper and tracing around plates etc.